I love my big family at Culp Shanghai! As one of the first group of workers to join Culp Shanghai in December 2003, Meifeng Zhang always works diligently and is eager to learn. Because of her excellent performance, Meifeng has been appointed as the first pre-inspector team leader in Culp Shanghai. Meifeng’s crowning achievement was her recent selection for the list of “Top Ten Best Female Staffs” for the Qingpu District from among over 200,000 female employees! 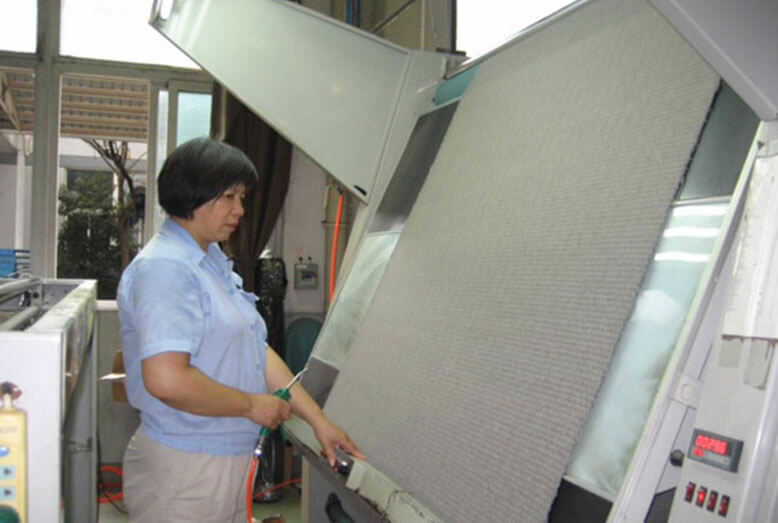 Although Meifeng reached retirement age last February, she still likes to work at Culp Shanghai, which she considers her “big family.” As Meifeng stated in her speech marking her tenth anniversary at Culp Shanghai, “I am very proud of our company, a good citizen company, a very responsible company and a company with a bright future in local Qingpu.” Meifeng Zhang lives with her husband, son, daughter-in-law and grandson in a large apartment in downtown Qingpu.